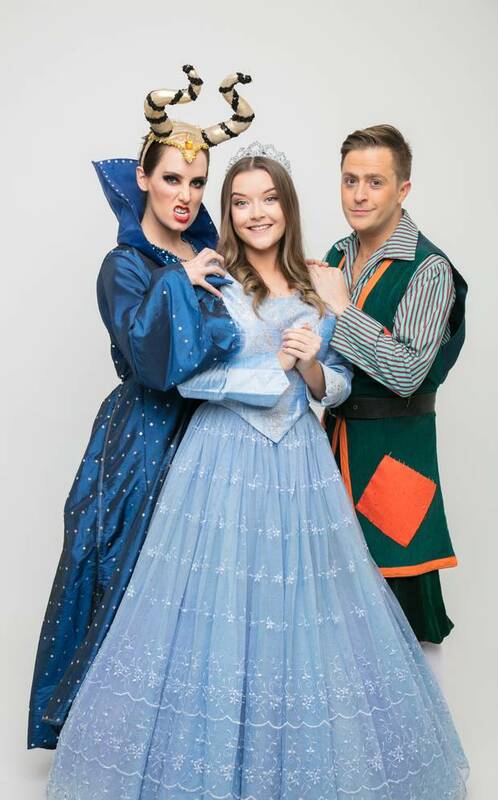 Aoibheann McCaul, Clara Murray and George McMahon star in Sleeping Beauty at the INEC next week. IT will be a truly magical family outing to the INEC next week when the pantomime ‘Sleeping Beauty’ comes to Killarney venue between Thursday, January 3 and Saturday, January 5. From the team that brought you last year’s smash hit panto, ‘Beauty and the Beast. comes a production bursting with celebs. This all-star cast production is headlined by Fair City’s George McMahon (Mondo O’Connell”) and Aoibheann McCaul (“Caoimhe Dillon”), and RTÉ Jr favourite Clara Murray (Twigin’, Singalong / Pop Goes The Weekend). Sleeping Beauty is filled with laughter galore, fabulous costumes and chart-topping hits. The spell has been cast in a land far away. Will the heroic prince break the spell and awake his true love? Will good overcome evil? Or will the evil Maleficent ruin Christmas for all?